In order to optimize all your systems management operations for immediate savings and organizational efficiencies, we at Lanworks, provide a highly personalized approach to standardize your entire portfolio across your computing infrastructure. Lanworks will work with you to reduce the time your team spends putting out fires and focus your time on more strategically important IT investments. 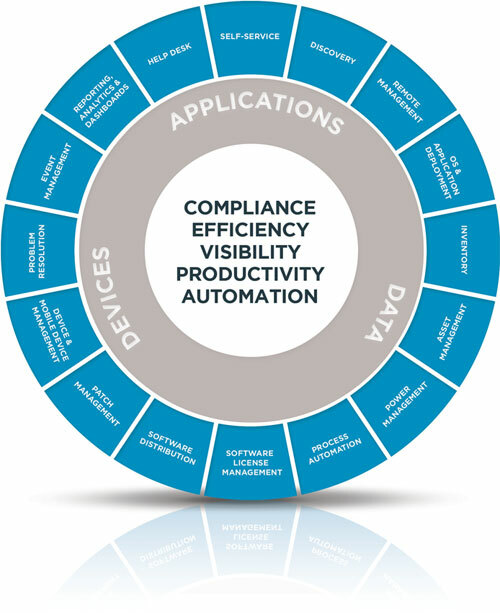 Lanworks LCM solutions will help you simplify the management of processes and a diverse array of assets, including but not limited to desktops, laptops, servers and mobile devices.